Chia seeds may be eaten raw or prepared in a number of dishes. Raw, they are an excellent source of dietary fiber and Omega-3 fatty acids. Chia seeds may be ground into pinole, a meal that can be used for porridge or baked goods. They may also be soaked in fruit juice or water to make a dish known as chia fresca in Mexico. Chia seeds are very absorbent and develop a gelatinous texture when soaked in water. In recent decades, chia has seen a resurgence in popularity and has been hailed as a "super food" with many dietary benefits. It helps the body retain fluids and electrolytes, it forms a gel in the stomach that slows the conversion of carbohydrates to sugar, and it helps build muscle and other tissues. Chia is a source of protein and boron, which aids in the absorption of calcium. Chia seeds can be used to make a gel that one can substitute for oil or other fats in a variety of recipes. Chia gel can be added to any sauces, jellies, or baked goods, for example. Making a batch of chia gel is simple. Chia seeds absorb nine times their weight in water, so use a ratio of nine parts water to one part chia seeds. Put the water in a sealable plastic bowl and slowly pour in the seeds while whisking with a wire whisk to prevent clumps. Let stand for a few minutes before whisking again, repeat this process once, then seal the bowl and store the gel in the refrigerator. It will last up to two weeks. The seeds are not the only important part of the chia plant. The sprouts are also edible and can be used in salads, sandwiches, and other dishes, much like bean sprouts. Chia sprouts may be most familiar to some as the green "fur" of the Chia Pet, a collectible animal-shaped clay figurine. There are many reasons as to why chia seeds are said to be healthy and nutritious. The seeds are very low in cholesterol and sodium. So they are considered good for health. They are easy to digest (easier to digest than flax seeds which require grinding) and they contain more nutrients than flax seeds or salmon. Chia seeds are a good source of calcium and phosphorus, and a very good source of dietary fiber and manganese. The seeds are packed with protein, complex carbohydrates (good carbs), essential fats, various vitamins like B vitamins and minerals like calcium, copper, zinc, etc. They are high in antioxidants which strengthen the immune system and keep you disease-free. The seeds provide energy to both mind and body. Given below are details regarding nutrients found in one ounce (approximately 28 g) of chia seeds. Take a look at the table which explains chia seeds nutritional value. Chia seeds are extremely high in omega-3 fatty acids, fiber, antioxidants, and calcium which makes them highly nutritious for daily consumption. Apart from this, chia seeds also contain proteins along with different vitamins and minerals. All these nutrients present in the chia seeds make it worth consuming by people of all age groups, especially, those who suffer from nutritional deficiencies. Apart from being nutritious, chia seeds are associated with many other health benefits. The anti-inflammatory properties of chia seeds are beneficial for arthritic patients. It has been found to be effective in reducing the pain and inflammation, associated with the condition. One of the most important chia seeds health benefits is that they help in improving the function of the brain. The essential fatty acids promote efficient nerve transmission. They also provide one with stamina and endurance with regular consumption. So people with physically active lifestyle can be benefited from these seeds. The omega-3 fatty acids in the chia seeds also help you maintain the health of your heart as omega-3 fatty acids are good for body as well as the heart. It is also one of the highest vegetable source of omega-3 fatty acids. Omega-3 fatty acids are also essential for better absorption of fat soluble vitamins, such as, vitamin A, vitamin d, vitamin E, and vitamin K, etc. The protein and calcium content in chia seeds also help you build muscles and strengthen the bones and hence gifting you with a great physique if combined with regular exercise regimen. Once soaked in water, these seeds can also be beneficial for those trying to lose weight as the soluble fiber in the chia seeds makes one feel full faster thus controlling the excessive food intake and cravings for fatty foods. Eating water soaked chia seeds is also known to cleanse the digestive system by eliminating junk build up from the intestines. It also helps you get rid of toxins in the digestive tract. Another advantage of consuming chia seeds is that they are easily digestible due to fiber content and helps you maintain a smooth digestive system. Chia seeds do not have a very strong taste unlike other seeds, such as flax seeds, which is why they can be easily used in various recipes without damaging the original taste. These seeds are so versatile that you can use them in different recipes. You can sprinkle them on salads as seasonings, spread them on your bread mixed with butter, add to your ice creams, milk shakes, sherbets, muffins, pastas, noodles, pizza, and cakes, etc. Chia seeds are much healthier than flax seeds and do not go rancid. Also, gram per gram, there is more fiber, protein omega 3's and antioxidants than flax. The best chia seeds are called Mila. In short, chia seeds are highly concentrated on various nutrition which makes it top the list of wholesome foods packed with multi-nutrients. Eating two spoonful chia seeds every day in any form can help you stay healthy and fit. But it is advisable to consult your doctor before you include chia seed in your diet as few people have encountered various side effects of chia seeds, such as, gastrointestinal problems, allergies, and blood pressure disorders. Pregnant and lactating mother, people under medication, and unwell patients, etc., should strictly consult their doctor before making it a part of the daily diet. But if chia seeds suit your system then you can add them to your recipes, be it fruit juice, sandwich, or green salad, and it is sure to provide you with great health and vitality improving your immune system. Organic chia seeds are usually magnificent storehouses of antioxidants, proteins, fibers, and various flavonoids. They have been given the recognition of being a food item by the Food and Drug Administration (FDA) of USA and has also definitively been given the stamp that it has no poisonous tendencies at all. Even the American Heart Association (AHA) has proclaimed that coronary heart patients should ingest chia seeds daily, in public interest, seconded by a University of Toronto study. But in spite of all this, fact remains that not enough studies have been conducted on these tiny, oval, mottled seeds and, therefore, both the benefits and side effects of these seeds are yet to be fully known. Previous observation and limited study has enabled some experts to note some chia seeds side effects. A few people have complained about gastrointestinal disruptions, such as formation of gas and bloated feeling after ingesting chia seeds. The American Dietetic Association attributes this to chia's high fiber content (25%). Chia seeds and its constituents do act as allergens in case of certain individuals, as also pointed out by the European Food Safety Authority. Some people break into reactions when coming into contact with chia protein. Such people are advised to keep away from the seeds. Also it is better if you check for mustard and mustard seed allergies and keep away from chia seeds even in that case. Homer Hartage, Chief of Nuchia Foods Corporation says that, "Because chia seeds contains omega-3s, which can thin the blood, if you are taking blood thinners, planning surgery or on an aspirin regimen, it is recommended that you consult a doctor prior to use." This effectively means that even haemophiliacs should keep away from chia seeds. Chia contains a lot of alpha-linolenic acid. Some research suggests that large amounts of alpha-linolenic acid in the diet might increase the chance of getting prostatecancer. If you have prostate cancer or have a high risk of getting it, avoid eating large amounts of chia. 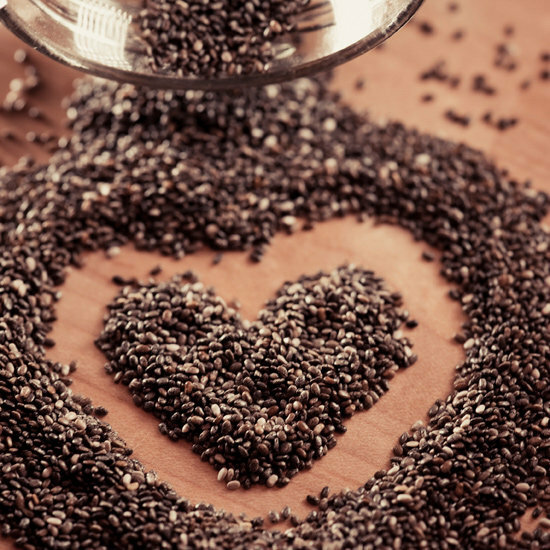 A research done by the St. Michael's Hospital in Toronto, Canada has indicated that chia seeds are potentially capable of lowering diastolic blood pressure to alarming levels. So, low blood pressure patients should steer clear of it. Chia should be consumed in short phases followed by break periods as some cases have shown people getting addicted to it. Pregnant and lactating mothers should keep away from chia seeds as not enough researches have been conducted to check for its effects on them. A super storehouse of vitamin B17, consumption of chia seeds and B17 supplements during the same time period may lead to a phytonutrient overdose. These are some possible chia seeds side effects that one may have to worry about. However, if you stick to the dosage recommended for chia seeds, you may be able to avert them. Stick to the following dosages after verifying with your doctor. Adult - 15 grams (2 tbsp.) of chia seeds daily. For cardiovascular shielding - 33 to 41 grams of blended chia seeds for 3 months daily. Minors (5 to 18 years) - 1.4 to 4.3 grams of chia seeds daily. Ideally 1 tablespoon for children below 10. Chia seeds health benefits are truly many in number and can be reaped optimally if taken with care and a little discretion is practiced. Never consume any natural product without the guidance of a doctor. The advice doesn't change for chia seeds as well. If you happen to be taking medicinal drugs for cancer, blood thinning, blood pressure or may be on other supplements, take special care and DO NOT take chia seeds without proper medical advise. Some people may also be allergic to chia seeds, owing to its high protein content. Allergic reactions usually include watery eyes, diarrhea, and/or skin eruptions. Consult a doctor immediately if you notice any of these symptoms after consuming chia seeds. These seeds will only help your health conditions if you do not play with dosages and make an effort to keep chia seeds side effects at bay.